Your customers are more demanding than ever. They expect you to provide a seamless experience that spans all channels. They expect you to be proactive about issues and reach out to them when you discover an issue rather than waiting for them to contact you. They expect you to provide them with online content, be active on the social sites and provide them with a personalized, engaging experience. However, the more touchpoints you have with your customers, the greater the risk is that something could go wrong — and negative customer experiences can have a profound impact on their loyalty. If you want to meet your customers' expectations, you must address their overall experience. In some organizations, this can be hindered by internal processes or company culture. Compartmentalized customer service can make it difficult to address issues efficiently. It is still common in many companies to find that different departments handle issues at specific points in the customer's journey. For example, sales might respond to all pre-purchase inquiries, order entry might handle inquiries from customers who want to know where their items are, and logistics might be in charge of return authorizations. Quality control might handle issues related to defective products, and the help desk might field questions from customers on how to set up or operate the item they purchased. However, your customers do not care who is in charge of what; they expect anyone they reach in your company to have the knowledge and authority to assist them. Emphasizing one step in the purchase journey at the expense of the other stages can be a mistake. Most companies concentrate their customer relations efforts on the awareness, interest and purchasing stages, and overall, they tend to see fewer failures than successes at these phases. However, post-sale support is often lacking, and a recent study showed that failures during the post-purchase stage are twice as common as successes. Data silos need to disappear. You need a 360-degree view of your customers if you are to satisfy them. Departmental ownership of data is outdated; customer service needs access to the same information that sales and marketing have. This allows you to see where failures are happening or are most likely to happen, such as where customers are abandoning purchases or what is triggering support tickets. One answer that is always unacceptable to customers is, "That's not my job." Your customers do not care whose job it is to resolve their issue — they only know that it is the company's job. Instill an attitude of interdepartmental cooperation and emphasize that every employee is responsible for providing superior customer service, regardless of job title or department. If you are committed to providing your customers with the best, most-engaging experience throughout the purchase cycle and beyond, consider improving the content you make available to them. Make sure that you are providing relevant search results. 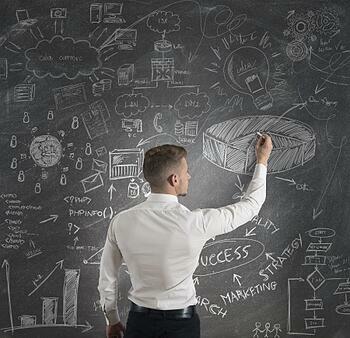 Examine your SEO efforts and refine them as needed. Provide multimedia content, such as videos demonstrating your product during the customer's research stage or showing proper assembly methods during the post-sale phase. Give customers an easy way to ask questions. An online chat feature is nice, but only if you have the ability to support it so that wait times are minimal and the feature is available at the times your customers are most likely to need it. Alternatively, offer an online form or the ability to post comments. Provide various ways for customers to conduct research. Give them access to reviews, offer helpful advice in your blog posts or give them access to white papers or knowledge-base articles. Remember to provide content for customers after the sale. Articles or videos on how to troubleshoot issues with a product, correct operation, routine maintenance procedures or links to replacement parts might be helpful. If possible, you might want to consider giving the customer access to the owner's manual through your site. More than ever, providing an outstanding customer experience needs to be high on your list of priorities. Whether achieving your goal requires adjusting your company culture or expanding your analytic efforts, you should realize significant benefits. Failing to give your customers the experience they demand could potentially leave you struggling to retain your fair share of the market.